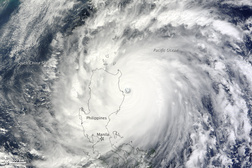 Storm Classifications - Manila Typhoon Center - Your online resource for typhoon updates. Each type of storm is dangerous and carries its own hazards, thus even a weak Tropical Depression can kill and do damage. A discrete tropical weather system of apparently organized convection - generally 200 to 600 km in diameter - originating in the tropics or subtropics, having a non-frontal migratory character, and maintaining its identity for 24 hours or more. It may or may not be associated with a detectable perturbation of the wind field. 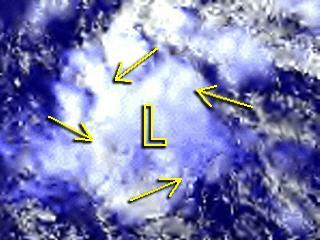 A Low Level Circulation Center (LLCC) is to be found in a disturbance for it to have any chance for development. For PAGASA and JMA, a tropical disturbance is a Low Pressure Area. For JTWC, NRLMRY and NOAA; a Disturbance carries a INVEST tag and is numbered 90 to 99, with a "W" suffix. Nevertheless, a Tropical Disturbance carries along with it heavy thunderstorms which may cause heavy rainfall and the occasional tornado. A tropical depression is an organized system of clouds and thunderstorms with a defined, closed surface circulation and maximum sustained winds of less than 55 KPH. It has no eye and does not typically have the organization or the spiral shape of more powerful storms. 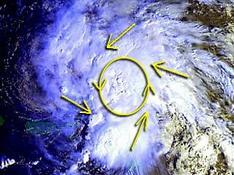 However, it is already a low-pressure system, hence the name "depression". The practice of the Philippines is to name tropical depressions from their own naming convention when the depressions are within the Philippines' area of responsibility. The PAGASA warning system issues a storm signal no higher than Number 1. JTWC and PAGASA begins to issue warnings to its clients/coverage areas once a Tropical Depression develops. For MTC, once any of the 3 agencies upgrade a disturbance into a TD, we start updates. Tropical Depressions are characterized by heavy to intense rainfall within the rainclouds of the depression, and are a dangerous flooding hazard to low lying areas. Example of which was of 2004's Tropical Depression Winnie which hit Quezon Province causing massive landslides in Aurora and Quezon. A TROPICAL STORM is an organized system of strong thunderstorms with a defined surface circulation and maximum sustained winds between 63 to 117 KPH. 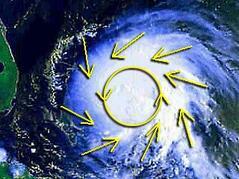 At this point, the distinctive cyclonic shape starts to develop, although an eye is not usually present. Government weather services, other than the Philippines, first assign names to systems that reach this intensity (thus the term named storm). 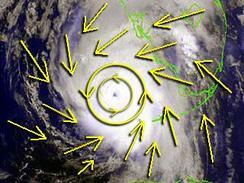 The convection in tropical storms is usually more concentrated near the center with outer rainfall organizing into distinct bands. The JMA has two classifications: Tropical Storm and Severe Tropical Storm once the storm exceeds 100 KPH in center winds. All other weather agencies in the region, other that of JTWC and PAGASA, begin to issue warnings at this stage. The PAGASA warning system issues a storm signal no higher than Number 2. Tropical Storms have proven to have been destructive killers due to intense rainfall especially once a tropical storm has made landfall. Examples of such are 1991's TS Uring (Thelma) which killed 6000 in Ormoc City, Leyte; 2011's TS Sendong (Washi) which devastated the cities of Cagayan de Oro and Iligan in Northern Mindanao; and 2009's Ondoy (Ketsana) which at the time was a 85KPH Tropical Storm, it broke rainfall records and caused widespread destruction in Metro Manila, putting the mega-city into a standstill. A typhoon (sometimes simply referred to as a tropical cyclone, as opposed to a depression or storm) is a system with sustained winds of at least 118 KPH. A cyclone of this intensity tends to develop an eye, an area of relative calm (and lowest atmospheric pressure) at the center of circulation. The eye is often visible in satellite images as a small, circular, cloud-free spot. Surrounding the eye is the eyewall, an area about 16 kilometres (9.9 mi) to 80 kilometres (50 mi) wide in which the strongest thunderstorms and winds circulate around the storm's center. All Western Pacific agencies classify tropical cyclones as Typhoons once it reaches 65 KT or 118 KPH. The PAGASA warning system issues a storm signal no higher than Number 3 in areas that are in possible direct impact with the Typhoon. "Super-typhoon" is a term utilized by the U.S. Joint Typhoon Warning Center for typhoons that reach maximum sustained 1-minute surface winds of at least 130 kt (230 kph). This term is also used by the Beijing China Weather Bureau for typhoons exceeding 50 m/s. Recent changes by PAGASA in its typhoon classification now include a Super Typhoon category once a TC reaches 220 kph. Manila TC considers a system to be a supertyphoon once it reaches Category 4 or exceeds 200 kph. 2012 -- Butchoy (Guchol), Julian (Bolaven), Karen (Sanba), Lawin (Jelawat), and Pablo (Bopha) which became the strongest typhoon ever to landfall in Mindanao as a Category 5, leveling the towns of Cateel and Baganga in Davao Oriental and causing a massive flash flood in Compostela Valley, overall with over 1800 dead or missing. 2013 - Yolanda (Haiyan) the strongest typhoon ever recorded to make landfall with 315 kph winds, leveling several provinces and nearly decimating the Southern Samar coast, Tacloban City and Leyte Provinces leaving almost 10000 dead or missing. The last SuperTyphoon to hit Metro Manila was 1995's Rosing (Angela) in November. Sky-Chaser.com of Chris Collura and NOAA OSEI.